Scientific literature is currently the most important resource for scholars, and their citations have provided researchers with a powerful latent way to analyze scientific trends, influences and relationships of works and authors. 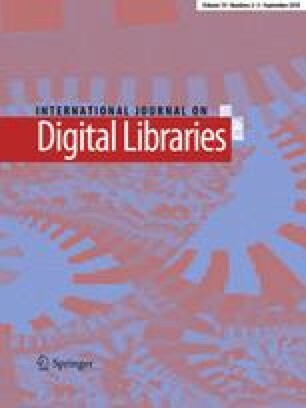 This paper is focused on automatic citation analysis and summarization for the scientific literature of computational linguistics, which are also the shared tasks in the 2016 workshop of the 2nd Computational Linguistics Scientific Document Summarization at BIRNDL 2016 (The Joint Workshop on Bibliometric-enhanced Information Retrieval and Natural Language Processing for Digital Libraries). Each citation linkage between a citation and the spans of text in the reference paper is recognized according to their content similarities via various computational methods. Then the cited text span is classified to five pre-defined facets, i.e., Hypothesis, Implication, Aim, Results and Method, based on various features of lexicons and rules via Support Vector Machine and Voting Method. Finally, a summary of the reference paper from the cited text spans is generated within 250 words. hLDA (hierarchical Latent Dirichlet Allocation) topic model is adopted for content modeling, which provides knowledge about sentence clustering (subtopic) and word distributions (abstractiveness) for summarization. We combine hLDA knowledge with several other classical features using different weights and proportions to evaluate the sentences in the reference paper. Our systems have been ranked top one and top two according to the evaluation results published by BIRNDL 2016, which has verified the effectiveness of our methods. This work was supported by the National Natural Science Foundation of China under Grant 91546121, 61202247, 71231002 and 61472046; EU FP7 IRSES MobileCloud Project (Grant No. 612212); the 111 Project of China under Grant B08004; EngineeringResearch Center of Information Networks, Ministry of Education(MOE); MOE Liberal arts and Social Sciences Foundation under Grant 16YJA630011; BeijingInstitute of Science and Technology Information; CapInfo Company Limited.